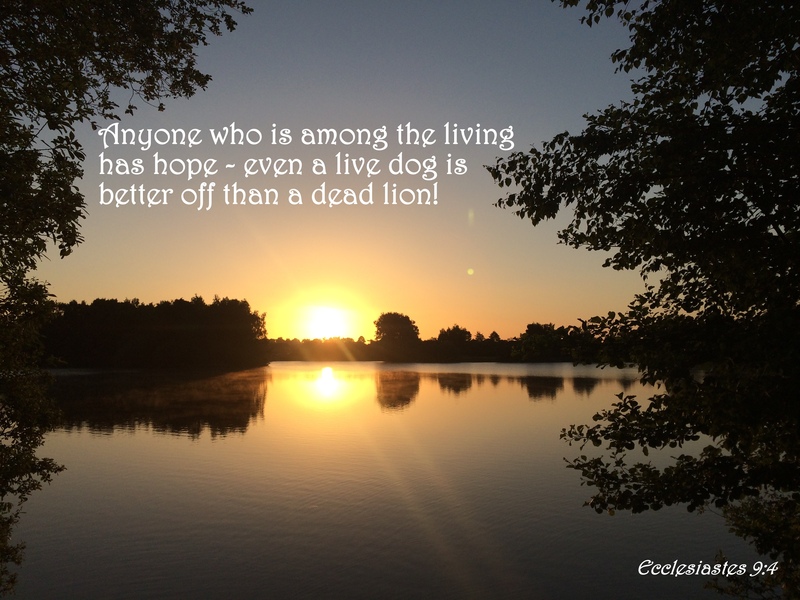 We have hope because of Christ, we have life because of His sacrifice, if we do not embrace the life we have been gifted by that great sacrifice, then we may as well be dead lions. This entry was posted in Faith, Verse of the Day and tagged All Around Me, Bible Verse, Christ, Ecclesiastes 9:4, Faith, Flyleaf, Freedom, God, Grace, Hope, Inspiration, Jesus, Lacey Sturm, Love, Mercy, Peace, Praise, Pray, Prayer on June 3, 2017 by waynemali. Where is it I will find myself? Where is the hope in that place? This entry was posted in Faith, Poetry, Verse of the Day and tagged Bible Verse, Christ, Ecclesiastes 9:4, Faith, Freedom, God, Grace, Hope, Inspiration, Jesus, Love, Mercy, Peace, Poetry, Praise, Pray, Prayer on April 6, 2017 by waynemali.